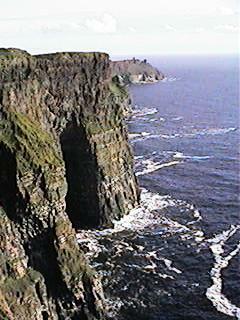 The Burren is a large limestone peninsula located on the West coast of Ireland. 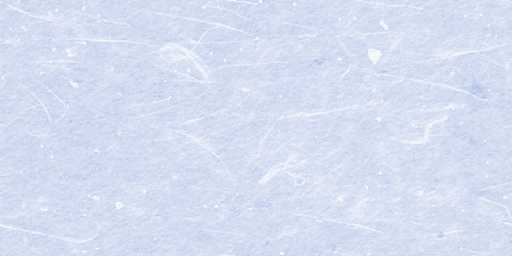 There is very little surface water, because all of the rivers are subterranean. 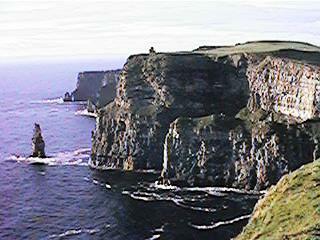 The Cliffs of Moher are located outside the Burren village of Doolin. Doolin is famous for its traditional Irish music, though we found one Pub where the band was covering Eric Clapton and Jim Croce. 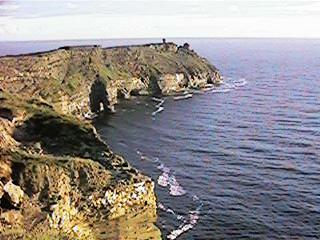 The photo on the right is not really one of the Cliffs of Moher. 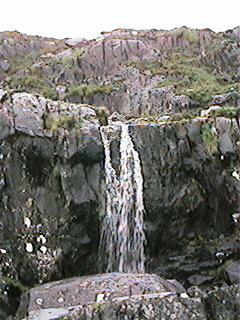 It is actually a waterfall on the Dingle Peninsula. Though we spent several days in Dingle, we never had any of their famous berries.